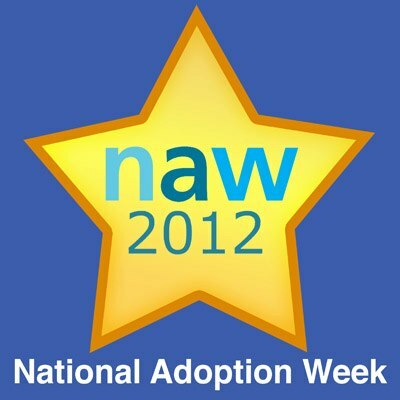 Tomorrow brings the start of National Adoption Week. To mark the week I will be turning my Life with Katie blog over to a series of guest writers who will share their adoption stories with you. If you know anyone who is thinking of adopting, or if you are considering it yourself, read the stories and share them with other people. There are so many children in need of homes in the UK alone and so many people are put off the idea of adoption due to bad press, anecdotes and scare stories. Yes, the majority of children who need adoption nowadays have come from difficult backgrounds and need new homes because they are unable to stay with their birth families. Yes, as an adopter, you need to be creative in your parenting and you don't always know what the future will bring. You need to think about things that birth parents don't have to think about. There are lots of things to consider. I hope that by sharing the stories of others you will have the opportunity to read about the experiences of other adopters and see whether Adoption may be an Option for you. So it's over and out from me until next week. 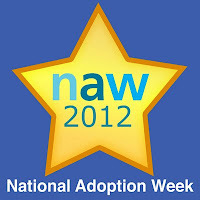 Come and visit every day and read the stories of some amazing adopters for whom I have enormous respect. I am sure their stories will inspire you.